You can leave the lower floor in the room to the right, otherwise you're trapped. But why is it impossible to go right? Does the game refuse to switch the room? Yeah, from where the player is it won't let me go right, through the gap there. 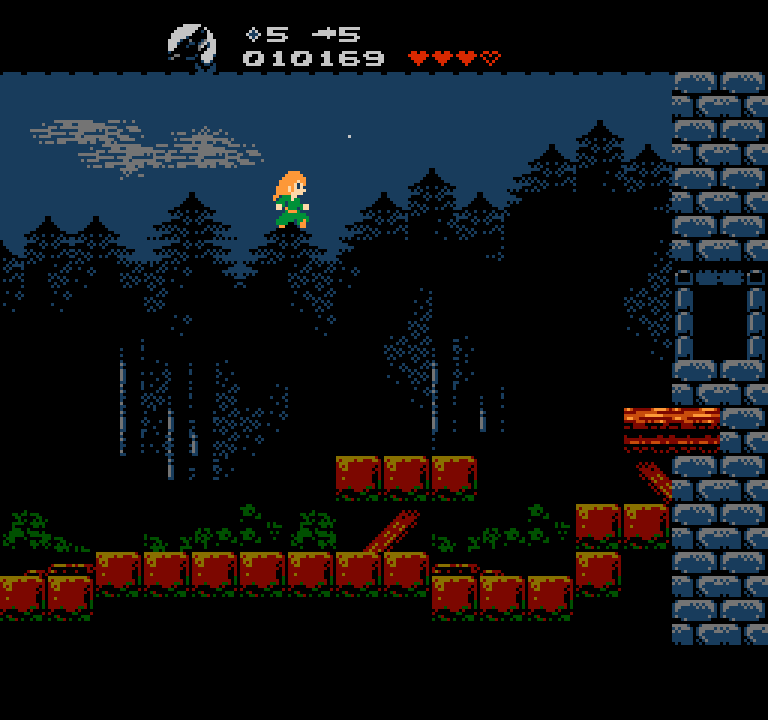 As I said, this might be a bug in Nestopia corrupting memory instead, but I hoped you might have the ability to make a special build that changed how the game started to reproduce that situation more easily than I could replay all the way to there. Hello, i've found a very amusing bug at the end of Wolfling. 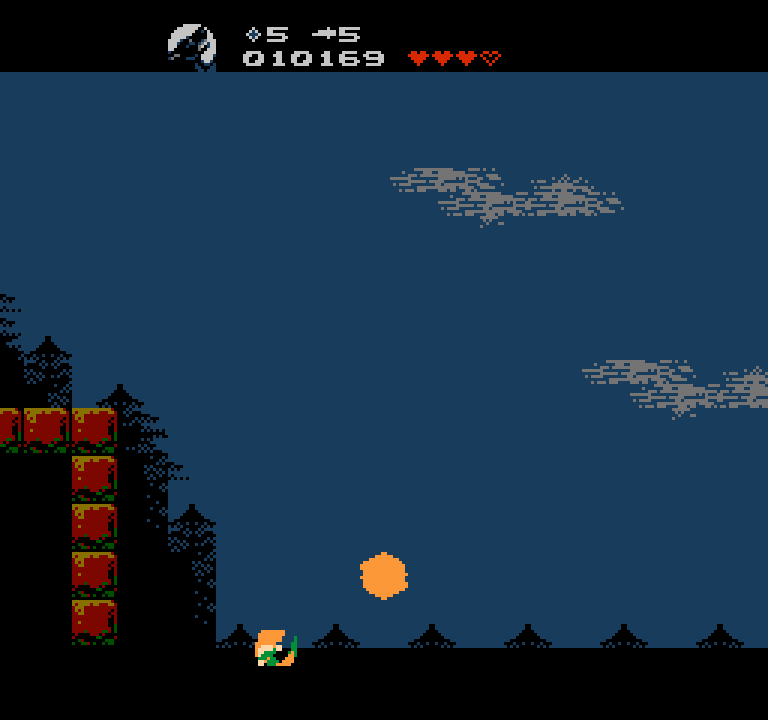 Evidently, it is possible to overjump the final cliff and thus fall into the chasm, but suprisingly land at the leftmost door of the castle. 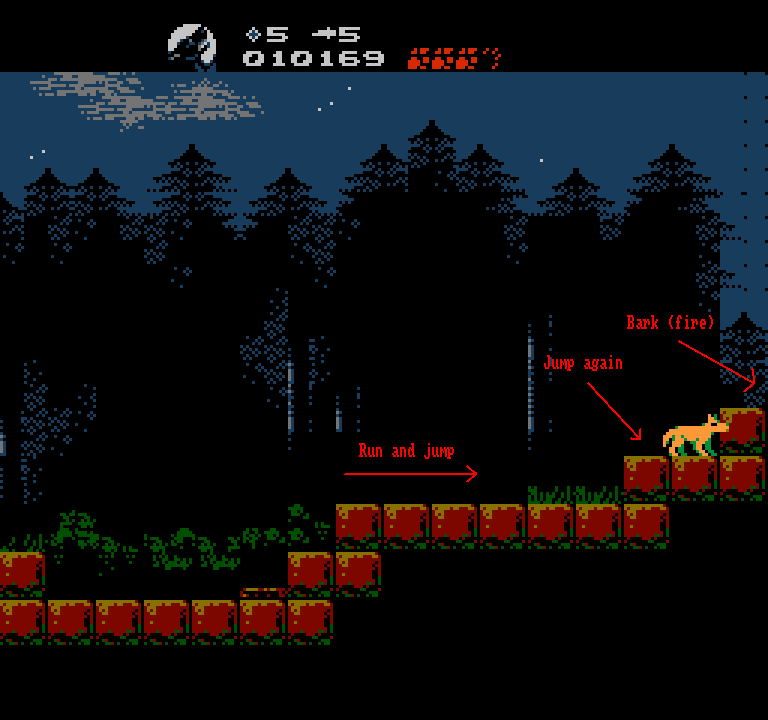 Little explanation: take a momentum on the first platform, jump, but land on the second platform at a distance from the third, to be able to jump again and jump over the third platform, but right before you exit at the rightmost point of the screen, press fire to bark and gain some extra momentum.